A350 XWB News: Rolls-Royce is ready to demonstrate the maturity & service-ready credentials of the Trent XWB. 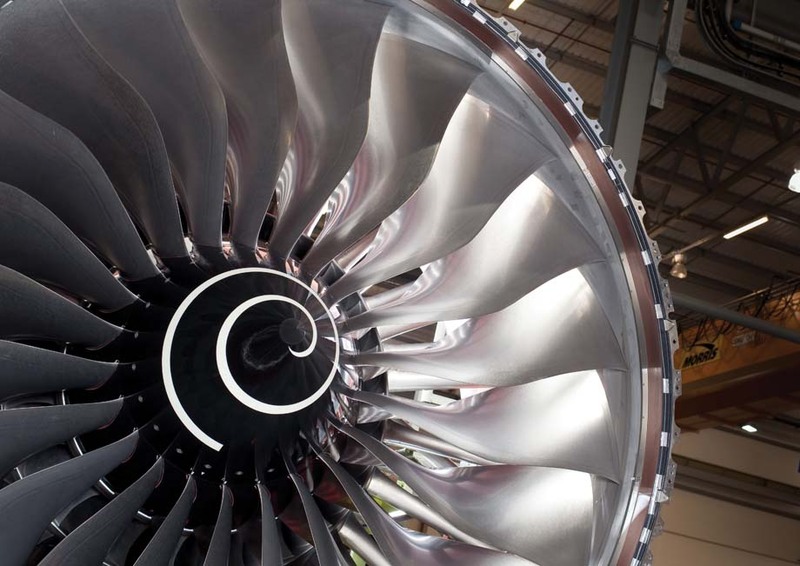 Rolls-Royce is ready to demonstrate the maturity & service-ready credentials of the Trent XWB. As a certification milestone is reached, Rolls-Royce is turning its attention to proving the maturity of the A350's Trent XWB powerplant ahead of first delivery next year. Rolls-Royce is well aware that as sole engine supplier to the A350 it has a critical role in ensuring the European-built widebody enjoys a relatively trouble-free commercial debut. 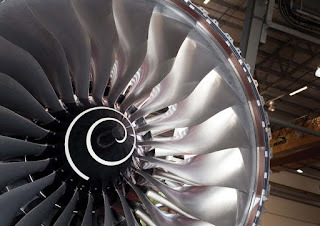 Rolls-Royce is understandably endeavouring to leave no stone unturned as it seeks to demonstrate the maturity and service-ready credentials of the Trent XWB, its most advanced three-spool large turbofan. Maturity and more maturity. Flying tests will continue on next 3 months. An illustration of this determination is the fact that although all flight-test work required for certification of the Trent XWB has been completed, Airbus and Rolls-Royce have together decided to extend the campaign using the A380 flying testbed ahead of the A350's maiden sortie. "We both consider that it's the right thing to do for powerplant maturity and we're both very supportive of making sure the powerplant is as mature as it possibly can be so as to not give [the A350] any form of problem at entry into service," says Trent XWB programme director Chris Young. "So we're prepared to carry on investing in the product between us," he adds. 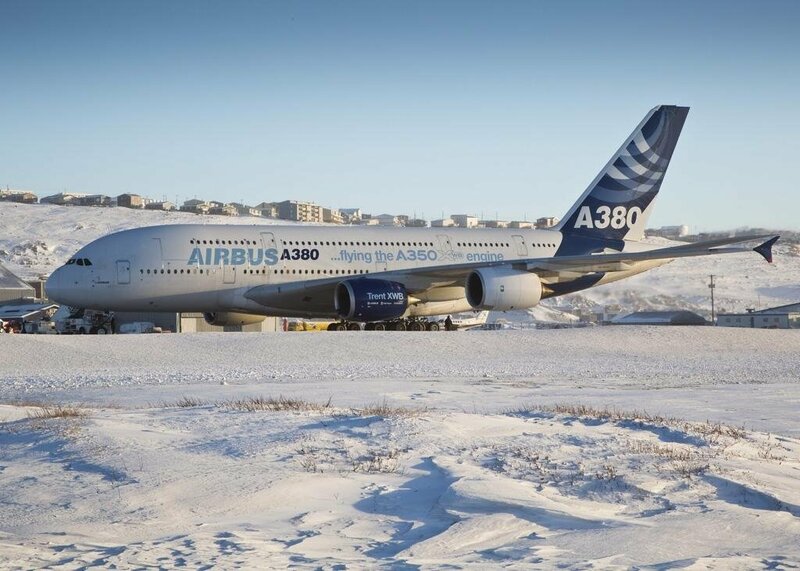 The extra flying using the A380 - which first got airborne with the Trent XWB installed in February 2012 - facilitated additional systems tests and provided an opportunity to take the powerplant through its paces under extremely cold conditions. The cold weather flying tests were performed in Iqaluit in Nunavut, Canada, where temperatures were -23°C (-9°F). "This is all about proving the long-term service maturity of the engine and just carrying on getting experience in representative environments," says Young. The engine installed on the A380 is the same one used for the most recent phase of certification testing, and is "very close" to the final configuration that will power the A350 on its first flight later this year. "There are a few minor changes as always around things like pipe routings and some of the last minute external changes that we've found but overall it's very representative of the bill of material, which is why it makes sense to carry on flying and getting the evidence and data from it," says Young.